It is a sobering fact that murders still happen every day in our world. Even worse, there are many murders which go unsolved for decades and others which never get solved. 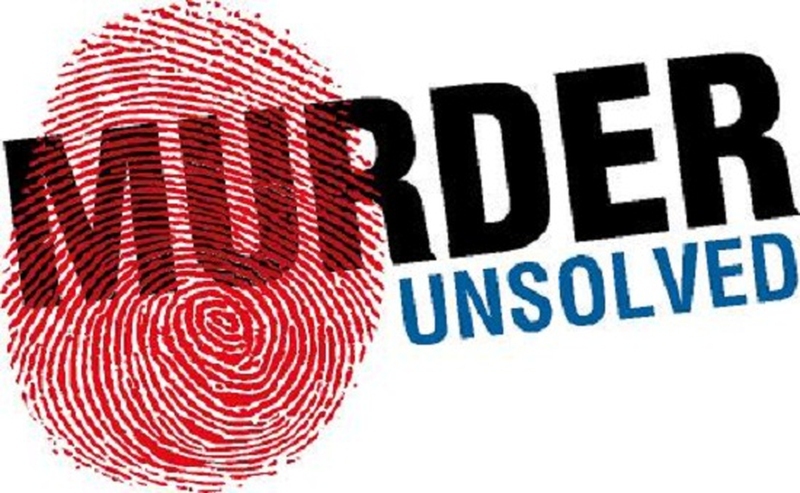 We listed 10 unsolved murders here; some of them deserve attention for the terrible loss of the families as well as your own safety. This is one of the recent brutal unsolved murders.Sometimes we find ourselves in the wrong place at the wrong time, such appears to the scenario for 28-year-old black male Marqui Deshaun Lawson. In between ten and eleven in the evening of July 24, it is believed that Lawson was struck by a large service truck, or vehicle with a heavy bumper and/or brush guard. As of right now, investigators have few leads into who or what may have led to Lawson’s death and are asking for any information to be reported in regards to this vehicular homicide. Working as a lawyer in Washington, D.C., Wone commuted from his home in Oakton, Virginia. His home was not empty at the night he was attacked, but his wife was not present. According to reports, he was restrained, sexually assaulted and then repeatedly stabbed until dead. Despite the three inhabitants there being overly calm when paramedics arrived, they were found not guilty of murder during trial—most notably due to the fact that the crime scene was tampered with. This case has seen a lot of publicity due to the gay community involvement, but the murderers have yet to be indicted for their crime. Known as one of the worst unsolved murders in New York State, an almost a decade before old case of 19-year-old Rashawn Brazell is still an unsolved murder. He disappeared in the morning of February 14, 2005, when he was scheduled to meet his mother for lunch. Four days later, two bags were found with Rashawn Brazell’s body parts inside. Despite the multitude of attention received, including air an America’s Most Wanted, the case is still unsolved and remains a mystery since no one would want to commit such a heinous murder on a 19-year-old boy as you can imagine. A half hour after midnight in July 16, 2005, Anita Redmon, who was working as an attendant in the Stone Mountain Park, was suddenly shot to death at the west gate. As of right now, a $55,000 reward is being offered for anyone who can help provide the police with leads to those who may be responsible for Redmon’s death. The police still have no leads or motive for why the hard working elderly woman was shot, and they keep working on this unsolved murder. As a 21-year-old senior attending Yale, Suzanne had her entire life ahead of her until she was stabbed to death just off campus. Despite investigations, no leads have been made towards a suspect. The last person to see her alive was a fellow classmate who attested that she did not seem agitated or nervous but eager to return home and go to bed. She was last seen alive between 9:25 and 9:30 p.m. before a 911 phone call was made at 9:55 pm, which reported seeing a young woman bleeding. When police arrived, they realized she had been stabbed seventeen times and her throat had been slit. Partial DNA from an unknown person was discovered, yet no one has ever been found guilty of her murder. Some of the worst unsolved murders involve children, such as this case, which involves the nine-year-old Amber Hagerman. She was simply enjoying a bike ride around the block with her brother. When her brother became concerned they had rode to far from home, he returned home, who was sent back out to look for his sister and bring her home later. Sadly, he never found her. When her grandpa went out to look for her, he found a police officer in a parking lot, talking to a man who saw the young girl being abducted. Despite the family’s plea for her safe return, she was found four days later, naked with her throat slit. The police made a profile of whom they believed was the killer, but the suspect murderer was never found. This unsolved murder case is the origin of the Amber alert system. The six years old beauty pageant contestant, JonBenét Ramsey was found in a mere eight hours in her house’ basement after they reported her missing. According to police, she had been strangled and hit on the head. Police immediately assumed the parents and brother were to blame, but DNA evidence proved otherwise and her entire family was cleared from suspicion in 2008. Fortunately, a DNA profile of the killer was created, but the system is still waiting for a match. A school teacher, John Mark Karr, confessed to being with her at the time of her death, but his DNA was not a match, leaving Ramsey’s case an unsolved murder. After serving as prime minister of Sweden from October 1969 to October 1976, Olaf Palme was known for having very strong opinions to many volatile issues, such as the cold war, the United States role in the Vietnam War and others. Despite the tension he had with the public, he spent most of years as prime minister, refusing any type of security detail. Unfortunately, on February 28 of 1986, he and his wife were gunned down by an assassin. His wife survived, but he did not. A local thief was arrested and convicted for the crime, but this conviction was later overturned. Due to his high profile on many issues and his opposition to the American influence, some believe he was killed by American CIA or possibly the Russian KGB. No evidence has been found to support either theory, leaving this as an unsolved murder. During a mass Romero conducted at a hospital, he was assassinated. According to a report done in 1993, Romero was killed by a trained United States squad, eventually leading to the charging of Roberto D’Aubuisson. A member of the squad, Alvaro Rafael Saravia, was found guilty in 2004 and fined a $10 million. However, when Romero was buried, a smoke grenade allowed gunmen with rifles to kill approximately fifty people. Despite the fines charged to D’Aubuisson and Saravia, there is no official evidence to put this unsolved murder to rest. Known for bringing sitcom Hogan’s Heroes title character to life, Bob Crane’s death is shrouded in mystery. He was discovered at the night of June 29 by his co-star when he didn’t show up for a planned meeting. Found with an electrical cord around his neck and evidence of being beaten to death, evidence soon pointed to his friend John Henry Carpenter. However, due to no DNA being present in the late 1970’s, Carpenter was never found guilty despite not looking concerned when arriving at Crane’s apartment and seeing him dead. Carpenter’s car was found to have blood with Crane’s blood type, but they had no way to prove it was in fact Crane’s blood. The case was reopened in 1990 with the inclusion of DNA testing, which was inconclusive. Despite having Carpenter on trial once again, the man walked free a second time as there was insufficient evidence to prove him guilty.